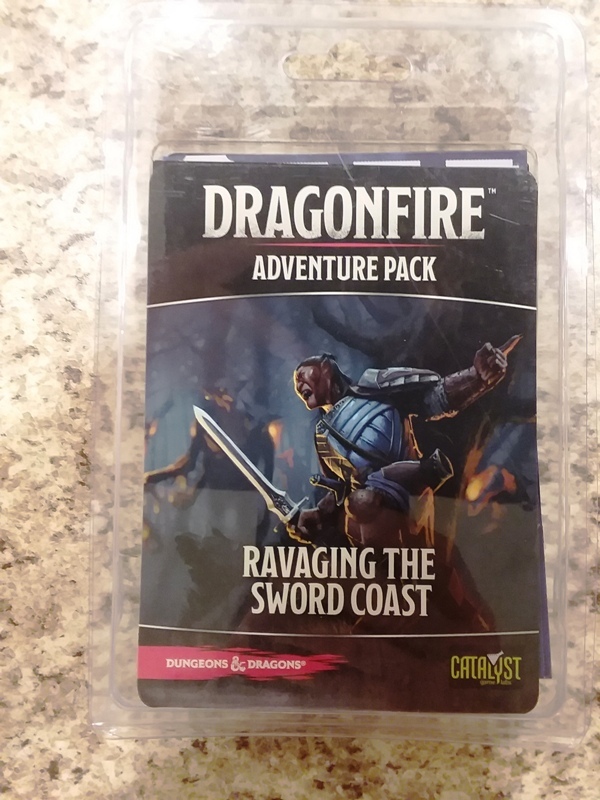 Sword Mountains Crypt, Ravaging the Sword Coast, and Corruption in Calimshan are Adventure Pack supplements for Dragonfire, published by Catalyst Game Labs. Dragonfire is a cooperative, deck-building adventure game with and endless amount of possibilities. One of those possibilities is its inherent modularity with characters classes, character races, encounter environments, treasure, and adventures. 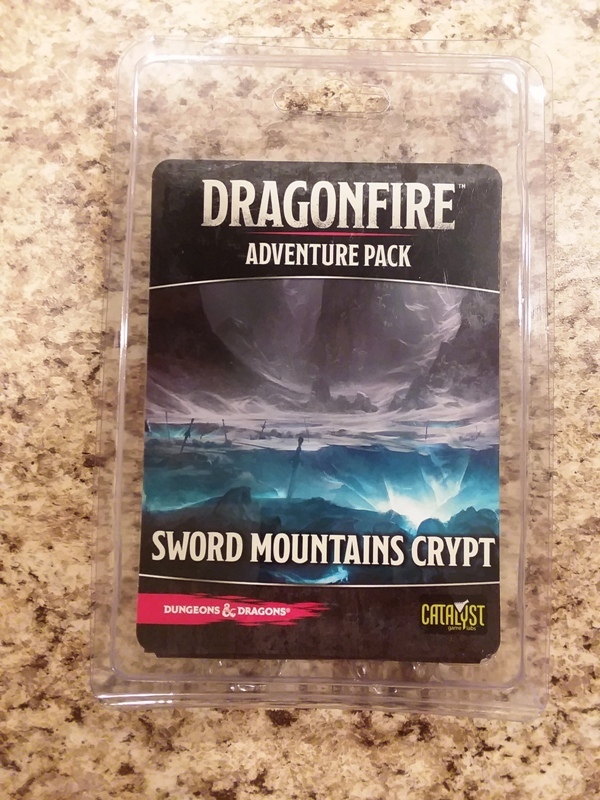 Dragonfire Adventure Packs take full advantage of that modular design by expanding on those game features. In particular are the three that encompass this review – Sword Mountains Crypt, Ravaging the Sword Coast, and Corruption in Calimshan. Sword Mountains Crypt is an Adventure Pack that features a Level 4 adventure set in a demilich’s lair. For encounters, you get a collection set in the Shadowfell environment, not found in the core box set. The character cards introduce the Barbarian martial class, an equipment-heavy character class. 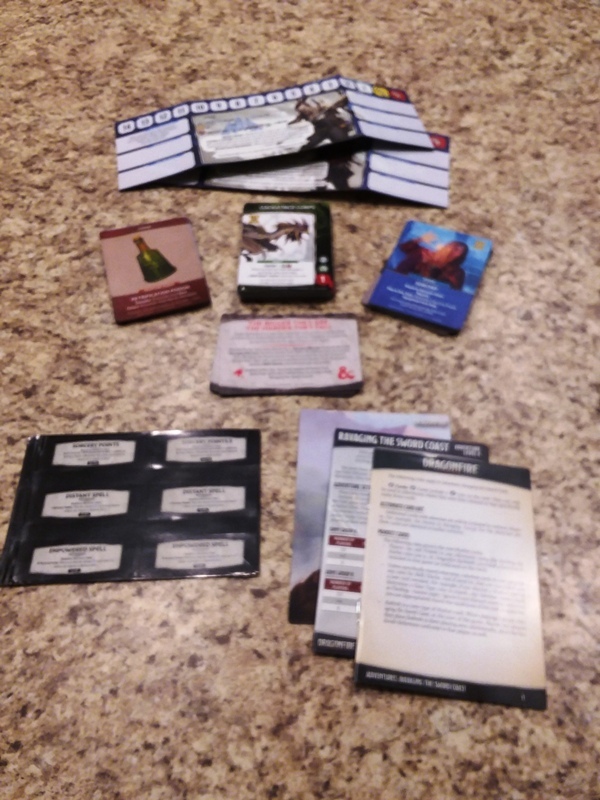 To coincide with those two you get a collection of treasures, alternate art cards, new character screen stickers, new market cards, and of course all the monsters to be found in the Shadowfell. Although this is a higher level Adventure Pack, it makes a great alternative to a campaign, taking the characters into darker areas. Ravaging the Sword Coast is an Adventure Pack that features a Level 4 adventure that continues the background storyline from Chaos in the Trollclaws. It augments the Wilderness encounters from the core box set and keeps the adventures going after getting through the core box set campaign. The character cards introduce the Sorcerer arcane class. To augment your deck-building, it includes new magic items, new market cards, and a collection of monsters to go with the locale. This Adventure Pack is meant as a continuation from previous campaigns from a fiction standpoint, but is not needed mechanically. 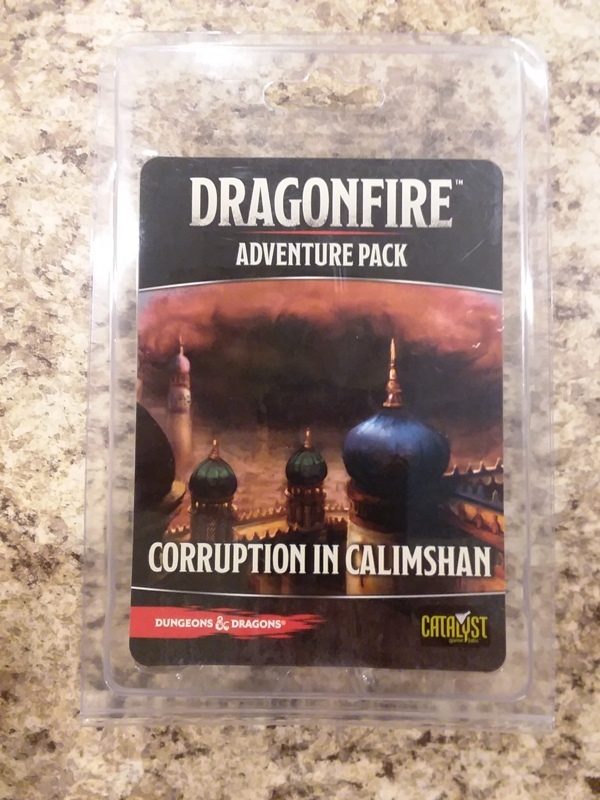 Corruption in Calimshan is an Adventure Pack that features a Level 4 adventure set in a desert city. For encounters, you get a collection set in a desert environment, not found in the core box set. Like other Adventure Packs, it assumes the players have completed the other campaigns, but the storyline is essentially standalone. Basically, you are traveling to a new realm for a new adventure. The character cards introduce the Bard deception class. To augment your deck-building, it includes new magic items, new market cards, and a collection of desert-themed monsters. It not only provides a continuation of the adventuring fun, but a new locale type for the character’s to explore. When you look at big-box games, Dragonfire comes in on the inexpensive side. 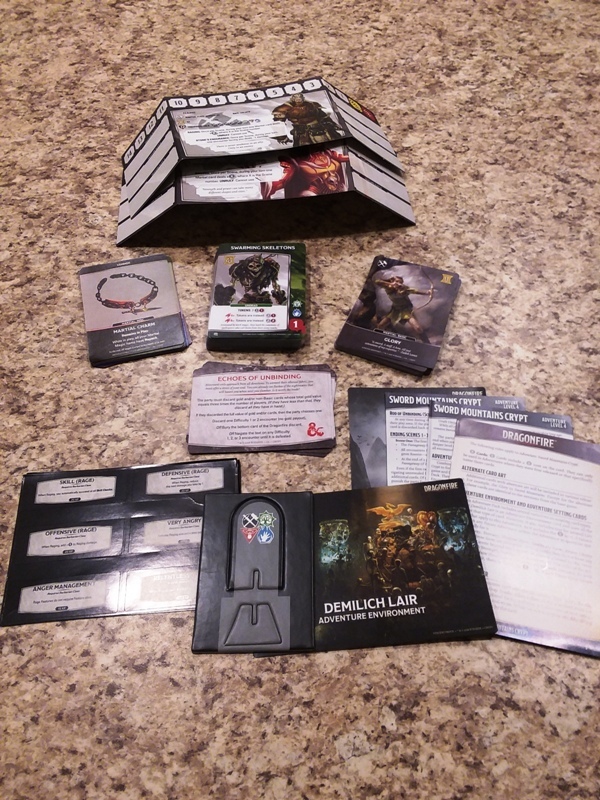 However, the core box set is a limited-gameplay set in that you have everything you need to play fun adventures and a campaign, but nothing more. These Adventure Packs keep that gameplay going and add to the re-playability of the game for a good price. At under $20 each, it’s a great way to continue that exciting Dragonfire gameplay you got from the core box set. 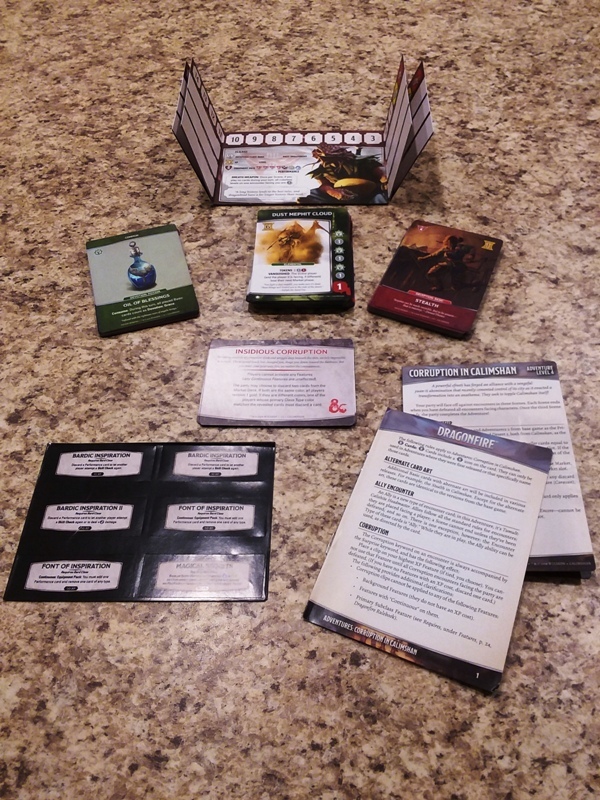 I hope Catalyst Game Labs continues publishing new Adventure Packs and takes your gameplay into new, exciting areas that create new storylines and new tabletop memories!